This year at Google I/O 2017, the Android platform team announced the availability of Android Architecture Components, which provides libraries that help you design robust, testable, and maintainable apps. Among all the tools it offers, I'm particularly impressed by the way it helps you manage the lifecycle of your app's activities and fragments - a common concern for Android developers. There's a lot of standard boilerplate here for defining a DatabaseReference at a location in the database and managing its listener during onStart() and onStop(). The more listeners involved, the more boilerplate code will clutter this code. And a failure to remove all added listeners could result in data and memory leaks - one simple mistake could cost you money and performance. While the effect of the code is straightforward, it's difficult to write pure unit tests that verify the logic, line by line. Everything is crammed into a single Activity object, which becomes difficult to read and manage. What can Android Architecture Components do to help? Digging into the libraries provided by Architecture Components, you'll find there are two classes in particular that are helpful to address the above issues: ViewModel and LiveData. If you haven't read about how these work, please take a moment to read about ViewModel and LiveData to learn about them. I'll also be extending LiveData, so take a look there as well. It's important to understand the way they interact with each other, in addition to the LifecycleOwner (e.g. an Activity or Fragment) that hosts them. With FirebaseQueryLiveData, whenever the data from the Query given in the constructor changes, MyValueEventListener triggers with a new DataSnapshot, and it notifies any observers of that using the setValue() method on LiveData. Notice also that MyValueEventListener is managed by onActive() and onInactive(). So, whenever the Activity or Fragment associated with this LiveData object is on screen (in the STARTED or RESUMED state), the LiveData object is "active", and the database listener will be added. The big win that LiveData gives us is the ability to manage the database listener according to the state of the associated Activity. There's no possibility of a leak here because FirebaseQueryLiveData knows exactly when and how to set up and tear down its business. Note that we can reuse this class for all kinds of Firebase queries. 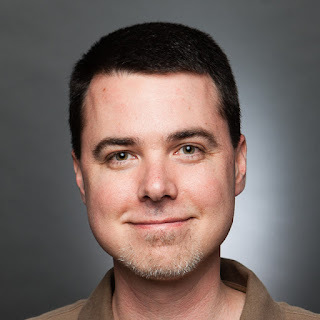 This FirebaseQueryLiveData class is a very reusable class! Now that we have a LiveData object that can read and distribute changes to the database, we need a ViewModel object to hook that up to the Activity. Let's take a look at how to do that. 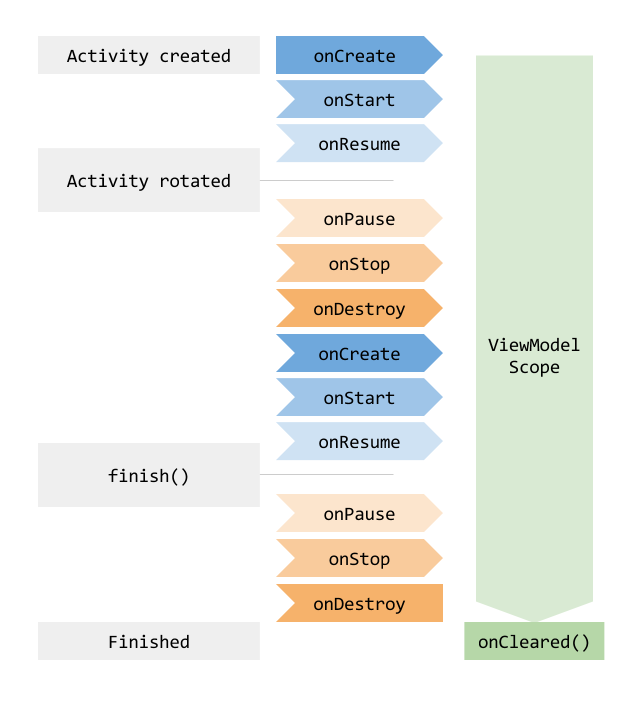 Note that this ViewModel implementation exposes a LiveData object. This allows the Activity that uses HotStockViewModel to actively observe any changes to the underlying data under /hotstock in the database. It's about 20 lines of code shorter now, and easier to read and manage! ViewModelProviders is a utility class from Architecture Components that manages ViewModel instances according to the given lifecycle component. In the above line, the resulting HotStockViewModel object will either be newly created if no ViewModel of the named class for the Activity exists, or obtained from a prior instance of the Activity before a configuration change occurred. With an instance of HotStockViewModel, the Activity response changes to its LiveData by simply attaching an observer. The observer then updates the UI whenever the underlying data from the database changes. So, what's the advantage to doing things this way? There's no chance of forgetting to remove the ValueEventListener on the DatabaseReference, which would cause an Activity leak. The LiveData object is lifecycle-aware, so it knows how many observers are watching it, and will automatically remove the database listener when there are no more observers (it has become "inactive"). If there's a configuration change in the Activity, it will immediately observe the most recent DataSnapshot from the LiveData used in the prior Activity instance. It will not have to wait for another round trip with the server in order to start rendering that data. There's no need to use onSaveInstanceState() with LiveData. MainActivity is responsible for knowing how to draw the UI. ViewModel holds all the UI data for the MainActivity. FirebaseQueryLiveData maintains the actual data, while also deciding whether or not the app is listening to that data in the database, depending on whether or not our UI is active. If you look at the new Activity implementation, you can see that most of the details of working with Firebase Realtime Database have been moved out of the way, into FirebaseQueryLiveData, except for dealing with the DataSnapshot. Ideally, I'd like to remove all references to Realtime Database altogether from the Activity so that it doesn't have to know or care where the data actually comes from. This is important if I ever want to migrate to Firestore - the Activity won't have to change much, if at all. There's another subtle issue with the fact that each configuration change removes and re-adds the listener. Each re-add of the listener effectively requires another round trip with the server to fetch the data again, and I'd rather not do that, in order to avoid consuming the user's limited mobile data. Enabling disk persistence helps, but there's a better way (stay tuned to this series for that tip!). We'll solve these two problems in future posts, so stay tuned here to the Firebase Blog by following @Firebase on Twitter! You can click through to part 2 right here. End of the Year Recap Extravaganza! We built an iOS game with Firebase!